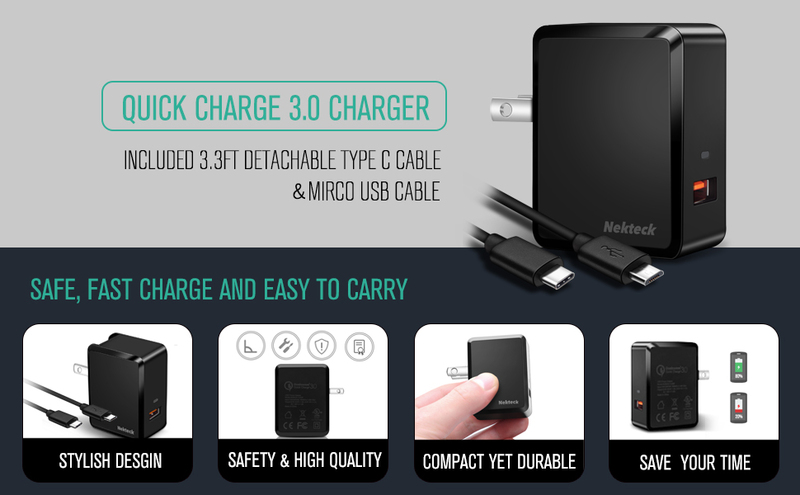 1.It is recommended to use the original device’s charging cable or Nekteck’s MFI Cable for the best possible performance. 2.Some smartphones like Pixel/ Pixel XL/Pixel 2 XL, Nexus 5X/6P, Lumia 950, etc, could not show Quick Charge. Fastest charger ever. 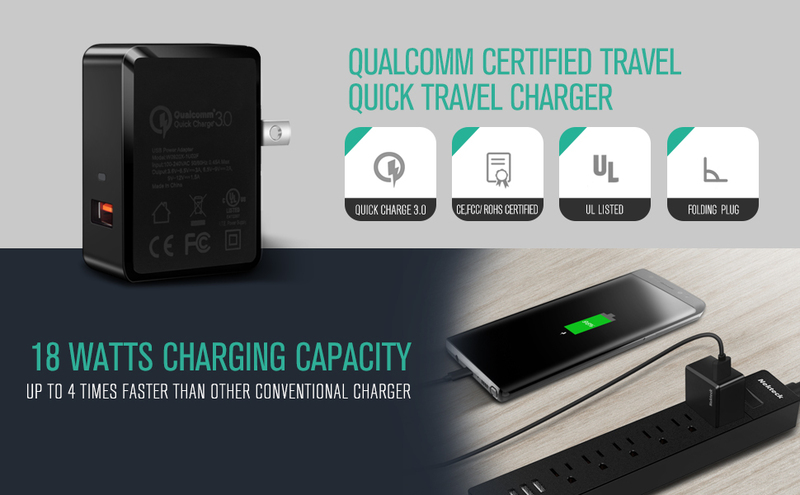 Developed by Qualcomm, Enabled and certificated by Qualcomm Quick Charge 3.0 technology, it pumps up to 18 Watts into your compatible smart phone or tablet, reducing charge time by up to 75% compared to conventional chargers. Compact, Z2 Tablet Motorola Droid Turbo, Moto X 2014.